with Fr. Sebastian Walshe, O.Praem. Check out these videos from the Norbertine Fathers. An event of profound significance, the Presentation of the Lord reminds us of the need to serve one another under our own roof, to live a life truly consecrated to God. Fr. John Henry offers us this beautiful video reflection on the Baptism of the Lord. Enjoy critically acclaimed documentary series, video lectures, and more from the Norbertine Fathers, on-demand in the Abbot’s Circle video library. 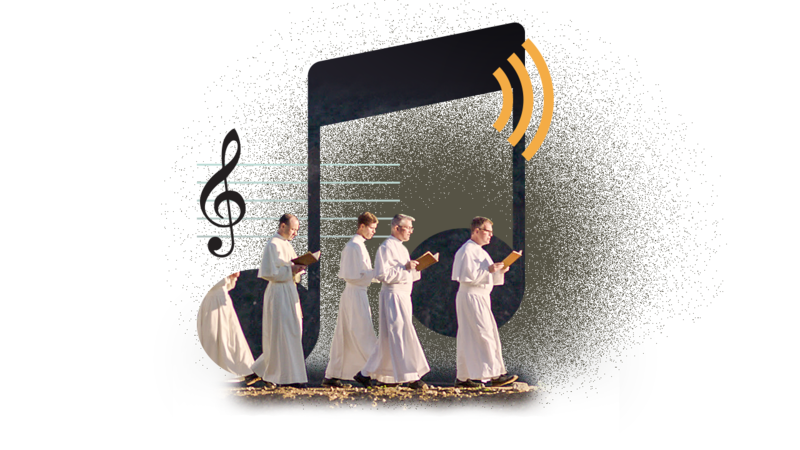 Immerse yourself in a collection of chants, reflections, audio lectures, and more from the Norbertine Fathers, on-demand in the Abbot’s Circle audio library. Enjoy a vast collection of thought-provoking written reflections from the Norbertine Fathers in the Abbot's Circle written library. "A priest is not a priest for himself. He is a priest for you." Learn more about the impact of what you are making possible when you support the Norbertines of St. Michael's Abbey.